The airline has around 12 such aircraft in its fleet. Following the grounding of Boeing 737 Max 8 aircraft by Indian aviation watchdog DGCA, SpiceJet on March 13 said it has cancelled 14 flights and will be operating additional flights from March 14. The airline has around 12 such aircraft in its fleet. "SpiceJet has presently announced cancellation of 14 flights for today and will be operating additional flights from tomorrow. On Tuesday night, the Directorate General of Civil Aviation (DGCA) announced its decision to "immediately" ground the Boeing 737 Max 8 aircraft that are currently being used by airline companies in India. The decision came days after a 737 MAX 8 aircraft operated by the Ethiopian Airlines crashed near Addis Ababa killing 157 people, including four Indians. However, a DGCA official told PTI on March 13 morning,"We will ground all 737 Max 8 aircraft, which are currently in use by Indian airlines, by 4 pm today." The aviation watchdog has issued a statement, saying no Boeing 737 Max 8 aircraft would be allowed to fly in Indian airspace from 4 pm. "Consequent to the regulatory directive on the Boeing 737 MAX, SpiceJet has already initiated grounding of its MAX fleet. In order to cause least inconvenience to its passengers and also bring these aircraft to its maintenance base we expect to complete this exercise on or before 4 pm today," the airline added. The Civil Aviation Ministry will hold a meeting with the airlines at 4 pm on March 13 to prepare a contingency plan as a number of flights have been cancelled because of the grounding of the 737 Max 8 aircraft, said a senior government official. 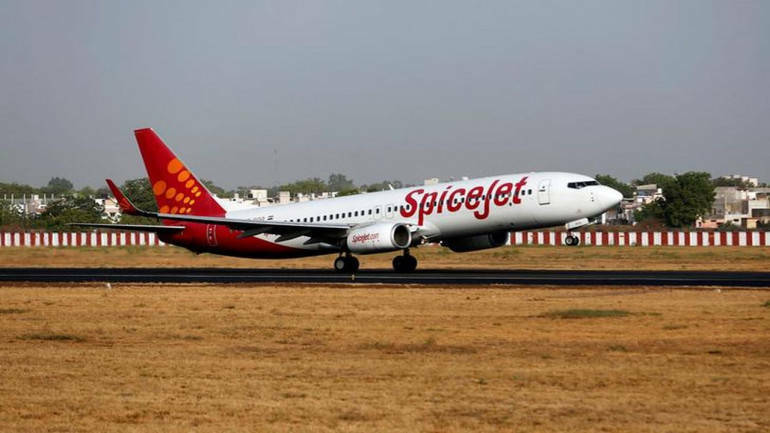 SpiceJet said Wednesday,"While a majority of passengers affected as a result of these cancellations have been accommodated by SpiceJet on alternate flights, rest have been offered a full-refund." "Safety and security of our passengers, crew and operations are of utmost importance to us and we are closely working with the regulator and manufacturer to resolve the matter," it added. The incident on Sunday was second such crash involving the 737 Max 8 aircraft in less than five months. In October last year, an aircraft operated by Lion Air crashed killing over 180 people in Indonesia. The European Union and many other countries across the world have already banned the use of 737 Max 8 aircraft in their respective airspace.